This watercolour was painted on the 18rh of August at Paimpol harbour. It was a wet windy day. A lot of the painting was done under an umbrella, that was a first for me. I enjoyed the challenge. Arches rough, 31 x 23 cm 300g. W&N paints. 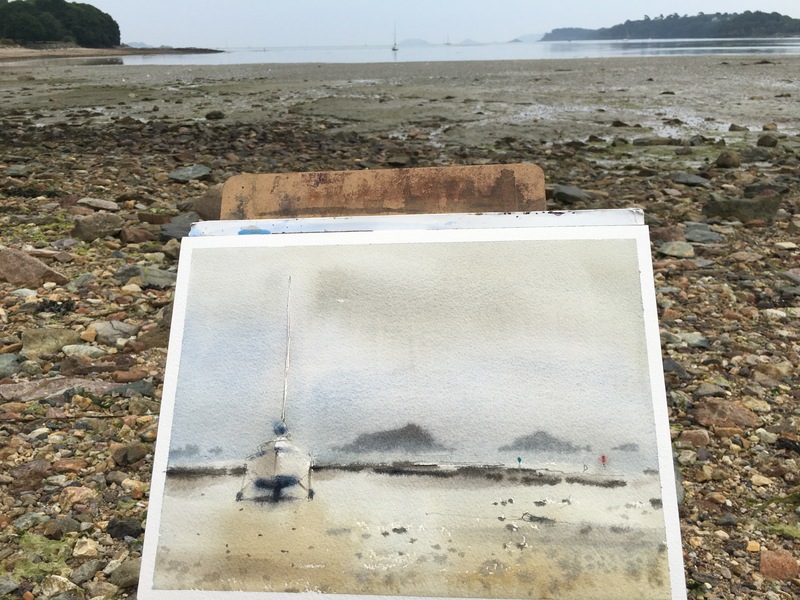 I was walking home after a successful day watercoloring in Paimpol when I spotted this boat standing defiantly and alone on the beach. The day was coming to an end and the sea mist was rolling in. It was a quick painting, I was tired because I had paired since the early morning. Painted on the 17th of August. 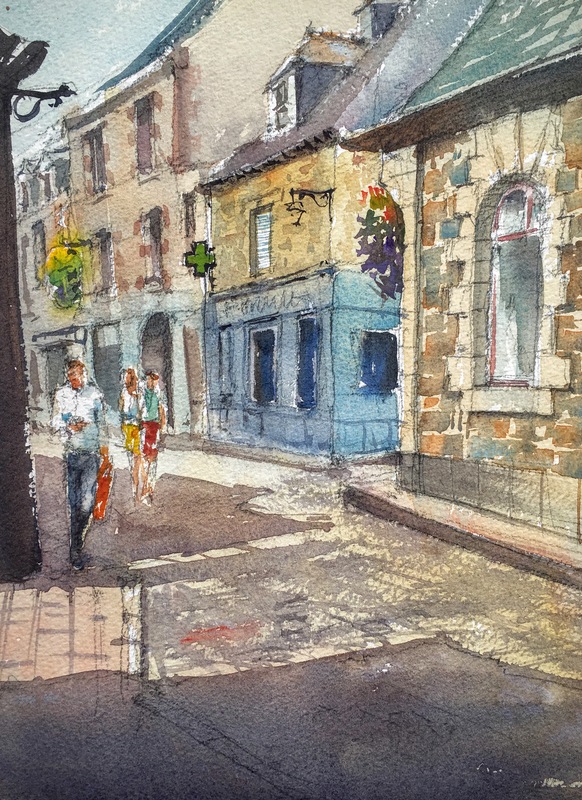 This is watercolour I did in the old streets of Paimpol, Brittany. I come here every year and I never get tired of the place. Panted on the 17th of August, 23 x 31 cm on Arches rough.